A drill bit is a tool used to drill through holes or blind holes in solid materials, usually in the range of 0.25 to 80 mm. Common drill bits mainly include twist drills, flat drills, center drills, and deep hole drills. Although reamer and boring drills cannot drill holes in solid materials, they are customarily classified as drill bits. Twist drills are the most widely used hole machining tools. Usually, the diameter ranges from 0.25 to 80 mm. It consists mainly of the working part of the drill bit and the handle. The working part has two spiral grooves that resemble twists. In order to reduce the friction between the guiding portion and the wall of the hole during drilling, the twist drill is gradually reduced in diameter from handle toward the shank and has an inverted cone shape. The helix angle of the twist drill mainly affects the size of the rake angle on the cutting edge, the strength of the blade and the chip removal performance, which is generally 25° to 32°. 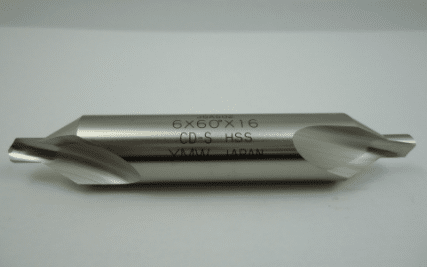 The spiral groove can be machined by milling, grinding, hot rolling or hot extrusion, and the front end of the drill bit is sharpened to form a cutting portion. The standard twist drill has a cutting edge angle of 118, a transverse blade bevel angle of 40° to 60°, and a relief angle of 8° to 20°. For structural reasons, the rake angle is large at the outer edge and gradually decreases toward the middle, and the rake edge is a negative rake angle (up to -55°), which is squeezed during drilling. 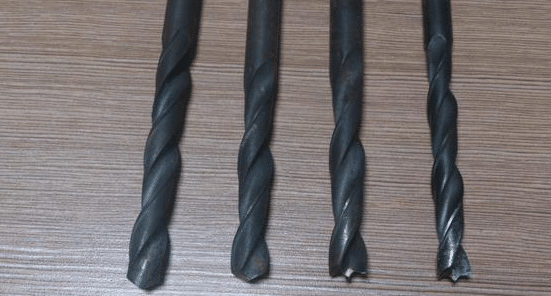 In order to improve the cutting performance of the twist drill, the cutting portion can be ground into various shapes (such as a group drill) according to the nature of the material to be processed. The handle of the twist drill has two types: a straight shank and a taper shank. The former is clamped in the drill chuck while the latter is drilled into the taper hole of the machine spindle or the tailstock. Generally, twist drills are made of high-speed steel. Twist drills with carbide inserts or crowns are suitable for machining cast iron, hardened steel, and non-metallic materials. Solid carbide small twist drills are utilized to process instrument parts and printed circuit boards. The flat drill has a simple structure and low cost of craft. Its cutting area has a spade shape, so that the cutting fluid can be easily introduced into the machined hole. It is undeniable that the flat drill has poor cutting and chip discharging performance. Flat drills are available in both integral and assembled versions. The monolith is mainly used for drilling microholes with a diameter of 0.03 to 0.5 mm. The assembled flat drill blade is interchangeable and can be internally cooled, which is mainly used for drilling large holes with a diameter of 25 to 500 mm. Deep hole drilling generally refers to a tool that machines holes with a hole depth to hole ratio greater than 6. Commonly used are gun drills, BTA deep hole drills, jet drills, DF deep hole drills, etc. Reaming drills have 3 to 4 teeth and are more rigid than twist drills to broach existing holes and improve the accuracy of machining and finish. 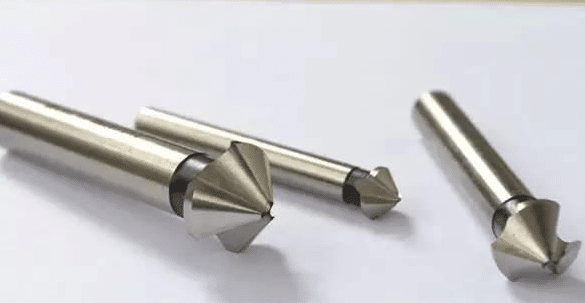 The countersink drill has many teeth, and the hole end is processed into a desired shape by a forming method for processing the countersunk holes of various countersunk screws or flattening the outer end faces of the holes. The center drill is used for drilling the center hole of the shaft workpiece. It is essentially a composite of a twist drill and a boring drill with a small helix angle, so it is also called a composite center drill. Drills with carbide indexable inserts have a wide range of machining depths from 2D to 5D (D is the diameter of bore) for lathes and other rotary machines. This drill is suitable for use in advanced machining centers. Made of fine-grained hard alloy material, it is also treated with TiAlN coating for extended service life. The specially designed geometric edge shape enables the drill bit to have self-centering function and good chip control when drilling most workpiece materials and chip removal performance. This drill is made by firmly welding a carbide crown on a steel drill body. The self-centering geometry blade type has a small cutting force and can achieve good chip control for most workpiece materials. The finished hole has a good surface finish, high dimensional accuracy and positioning accuracy, and no further finishing that is required. The drill is internally cooled and can be used in machining centers, CNC lathes or other high-rigidity, high-speed cutting machines. This type of drill is a new generation of drilling tools developed in recent years. It is a combination of a steel drill body and a replaceable solid carbide crown. 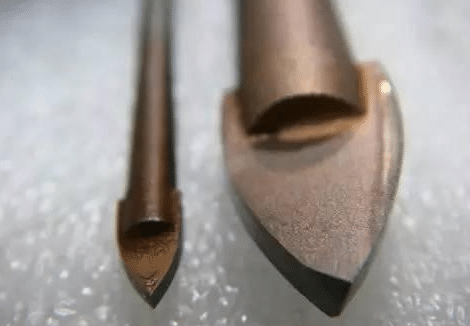 Compared with a welded carbide drill’s, the machining accuracy of this type is comparable. Besides, since the crown can be replaced, the machining cost is reduced along. This drill bit achieves precise hole size increments and does automatically self-centering, which result in the high hole machining accuracy.